JFMT is in service with the Joint Terminal Attack Controllers (JTAC) and Fire Support Teams (FST) of the 1st Artillery Brigade. Credit: Elbit Systems Ltd. The UK Ministry of Defence (MoD), 1st Artillery Brigade has taken delivery of mobile close air support (CAS) and joint fires simulator. Supplied by Elbit Systems UK in partnership with QuantaDyn, the delivery is part of the Close Air Simulation and Support System (CAS&S) contract. Elbit Systems UK served as the prime contractor and was tasked with providing a road-legal trailer to serve multiple training sites. 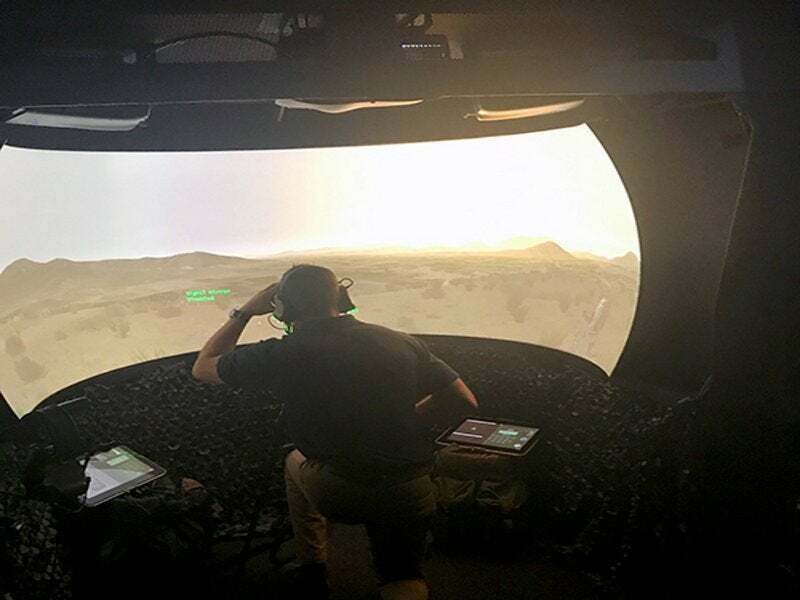 QuantaDyn partnered with Elbit Systems to provide a customised version of their QFires Joint Fires Mobile Trainer (JFMT). The fully serviced training package enclosed within a versatile 20ft trailer included a trainee station, an instructor / operator station (IOS) and a pilot station console. The JFMT features a high-resolution dome with a computer-generated force (CGF) and semi-autonomous force (SAF) application for mission briefs. It also allows the use of in-service night vision devices in conjunction with equipment such as laser designators, radios and binoculars. According to Elbit Systems, the trainer is already in service with the Joint Terminal Attack Controllers (JTAC) and Fire Support Teams (FST) of the 1st Artillery Brigade. In August, the self-contained mobile classroom JFMT met all the simulated CAS training requirements laid out by the US and Nato. The UK Joint Air Land Organisation (JALO) accredited the JFMT for training mission scenarios such as types 1, 2, and 3, full motion video, rotary wing, night / infrared, remote observer and laser target designation.